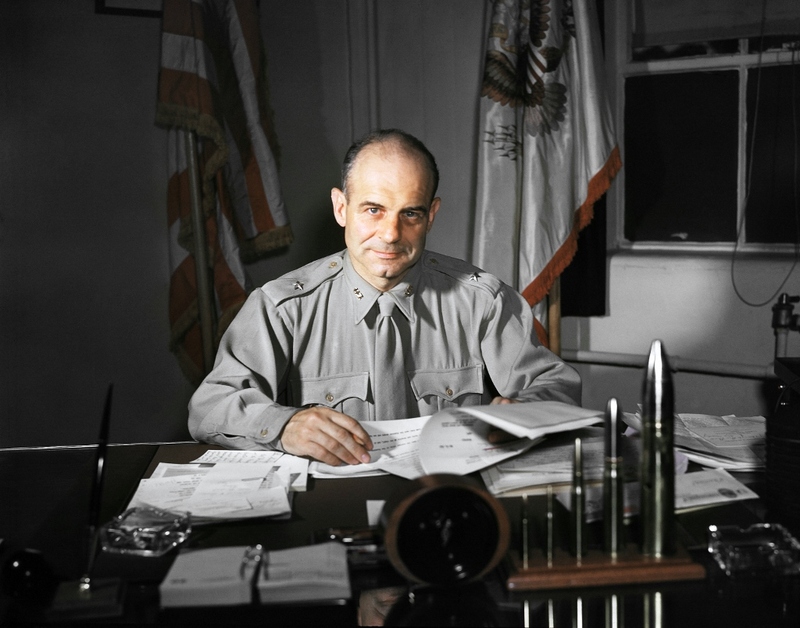 19 April 1942: On the day following the Halsey-Doolittle Raid, Lieutenant Colonel James Harold Doolittle, United States Army Air Forces, the leader of the B-25 strike force, was advanced two grades to the rank of brigadier general. 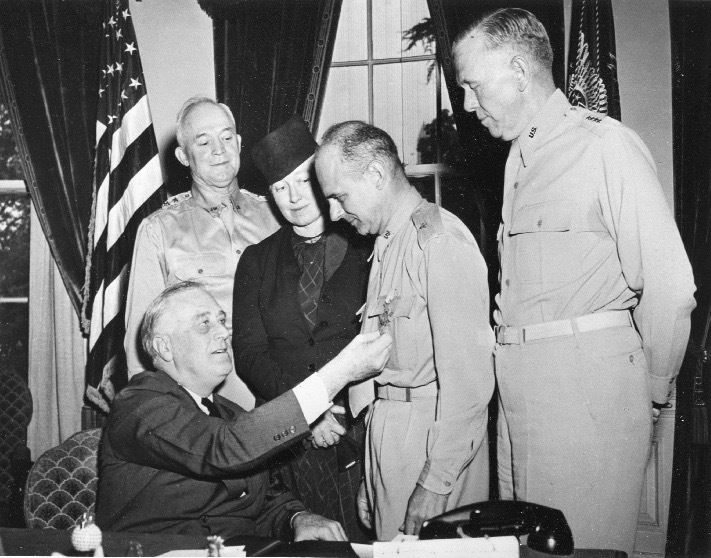 Upon his return to the United States Brigadier General Doolittle was presented with the Medal of Honor by President Franklin D. Roosevelt in a ceremony at The White House. His next assignment was to the Eighth Air Force as it prepared to deploy to Europe. 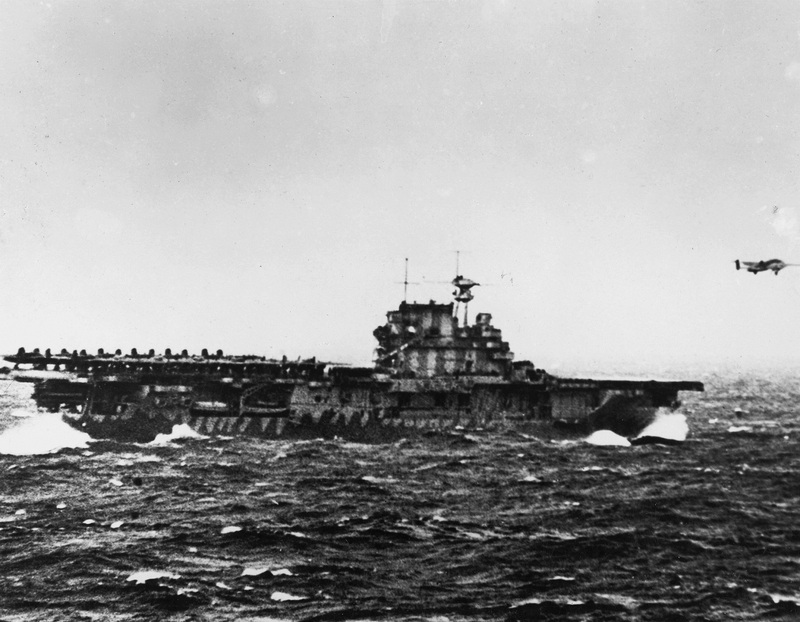 18 April 1942: Task Force 16, under the command of Vice Admiral William F. Halsey, Jr., U.S. Navy, approached the Japanese islands on a daring top secret joint Army-Navy attack. 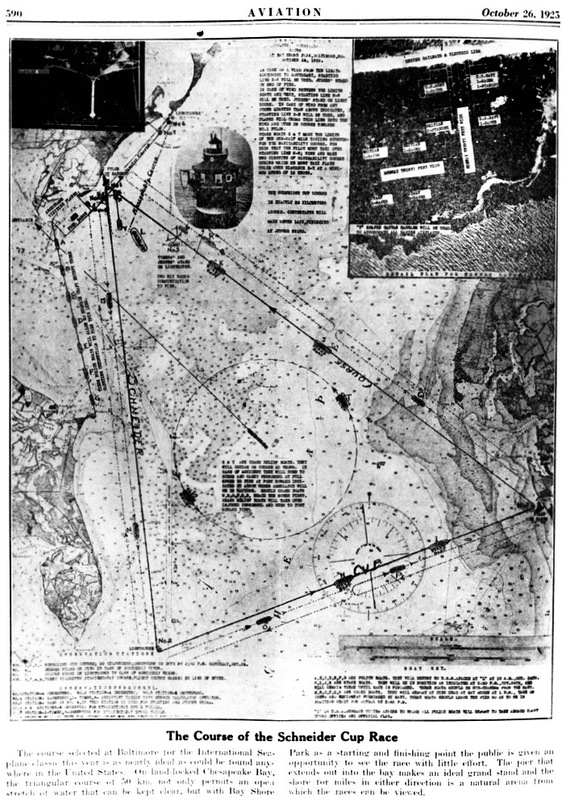 Planning for the attack began in January 1942 under orders from Admiral Earnest J. King, Commander-in-Chief United States Fleet. Captain Donald B. Duncan, U.S. Navy, was responsible for the plan. The operation was carried out by Task Force 16 under the command of Vice Admiral William F. Halsey, Jr., United States Navy. 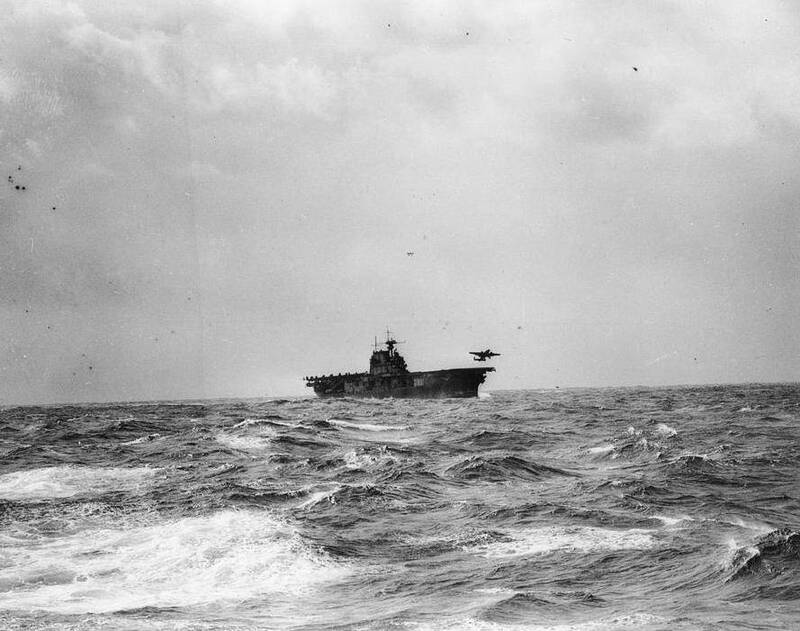 Task Force 16 consisted of two aircraft carriers, USS Enterprise (CV-6) and USS Hornet (CV-8), four cruisers, eight destroyers and two oilers. There were two air groups, consisting of eight squadrons of 54 fighters, 72 dive bombers, 36 torpedo bombers, and one squadron of of 16 medium bombers. 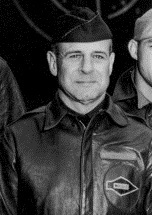 Lieutenant Colonel James Harold (“Jimmy”) Doolittle, U.S. Army Air Corps, commanded the Strike Group of North American Aviation B-25 Mitchell bombers aboard Hornet. 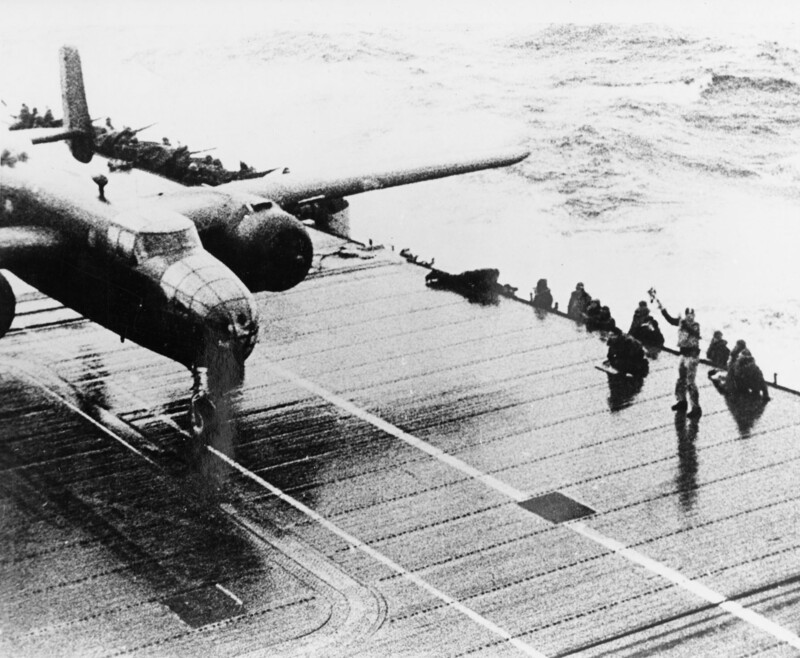 With the land-based Army bombers secured to Hornet‘s flight deck, her own fighters had been struck below. The air group from Enterprise provided Combat Air Patrol for the task force. The plan was to bring the B-25s within 400 miles (645 kilometers) of Japan, have them take off and carry out the attack, then fly on to airfields in Chinese territory. At 0500 hours, the task force was sighted by a Japanese picket boat while still over 700 miles (1,127 kilometers) away from Tokyo. At 0644 another vessel was spotted by the task force. 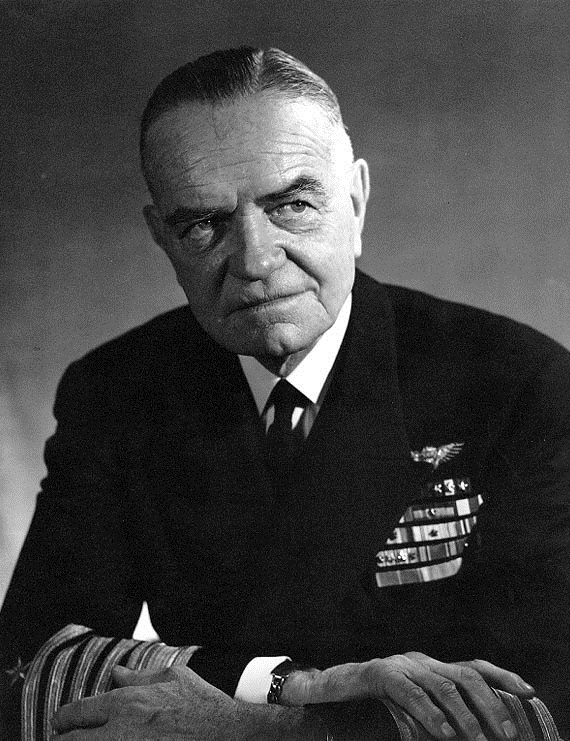 Fearing that surprise had been lost, Admiral Halsey ordered the bombers launched while still 623 miles (1,003 kilometers) from land. 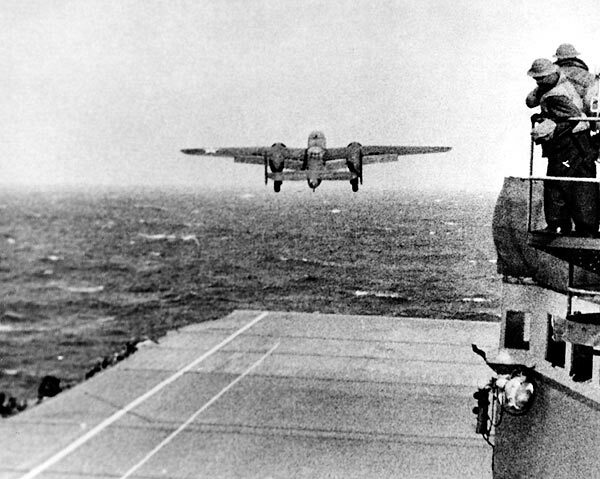 The sixteen B-25s were successfully launched from Hornet and headed for their assigned targets. The lead airplane, B-25B serial number 40-2344, was flown by Lieutenant Colonel Doolittle. Single B-25s attacked targets in the cities of Tokyo, Nagoya, Osaka and Kobe.The first bombs were dropped on Tokyo at 1215 local time. This was the first offensive operation carried out by the United States of American against the Empire of Japan during World War II. The actual destructive effect of the attack was minimal. It had been hoped that there would be psychological effects on the citizenry, however the arrival of the American bombers coincided with an ongoing air raid drill, and many thought it was all part of the drill. Militarily, however, the attack was a stunning success. 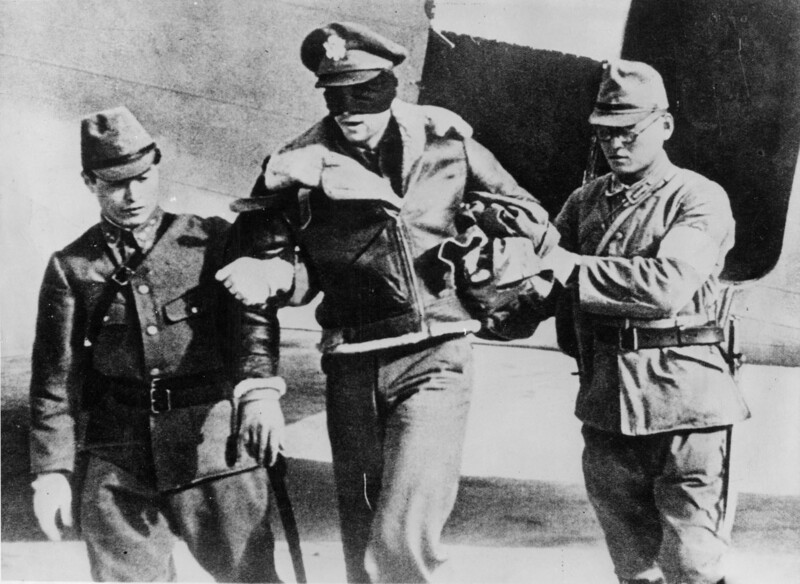 Four Japanese fighter groups, needed elsewhere, were pinned down at home, waiting for the next attack. Not a single B-25 was lost over Japan. One landed in Vladivostok where the crew and airplane were interred by the “neutral” Soviets, but they eventually were able to get home. The rest continued on toward China, though without enough fuel to reach their planned destinations. 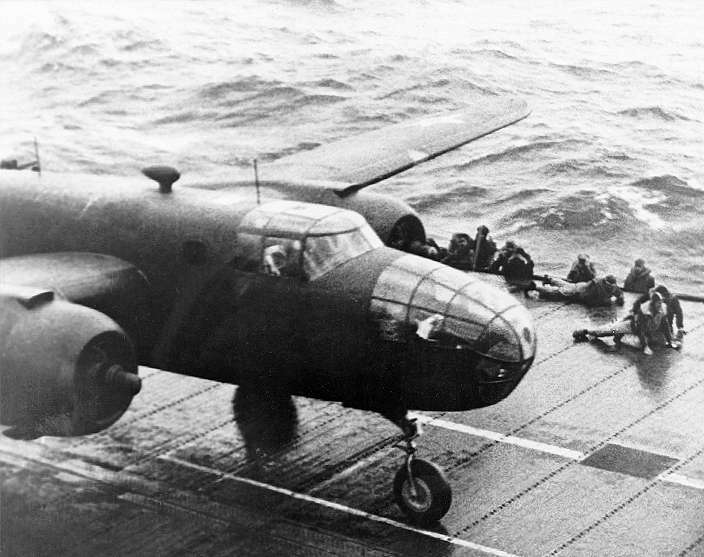 Four B-25s made crash landings, but the crews of the others bailed out into darkness as their planes ran out of gas. 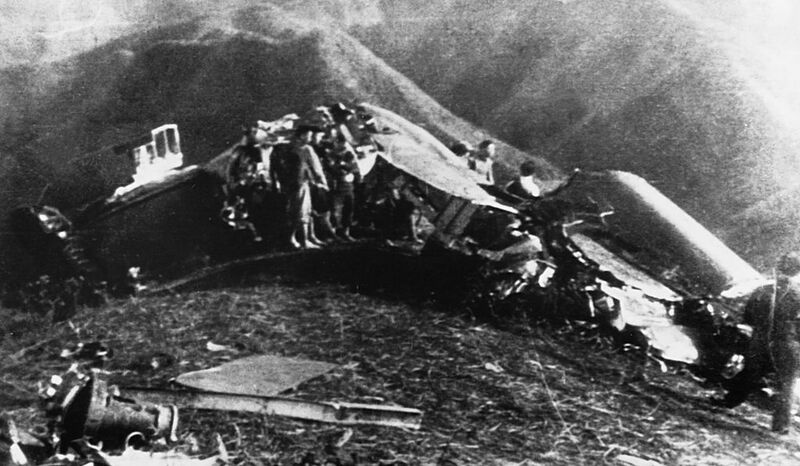 Five of the airmen were killed. Eight were captured by the Japanese, two of whom were executed by a military court, and another died in prison. Captain Edward J. York’s North American Aviation B-25B Mitchell, 40-2242, Aircraft 8, interned about 40 miles (25 miles) west of Vladivostok, Primorsky Krai, Union of Soviet Socialist Republics. 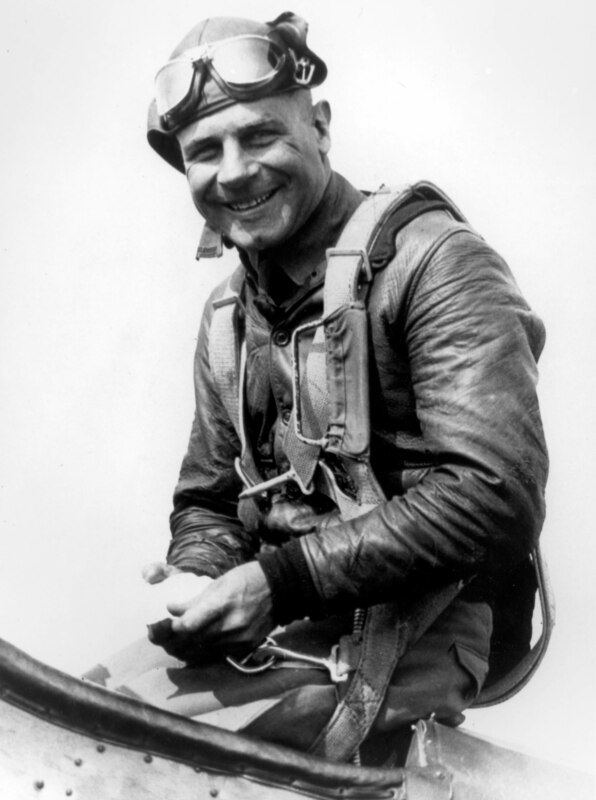 For his leadership in the air raid, James Harold Doolittle was promoted to the rank of Brigadier General, and was awarded the Medal of Honor by President Franklin D. Roosevelt. 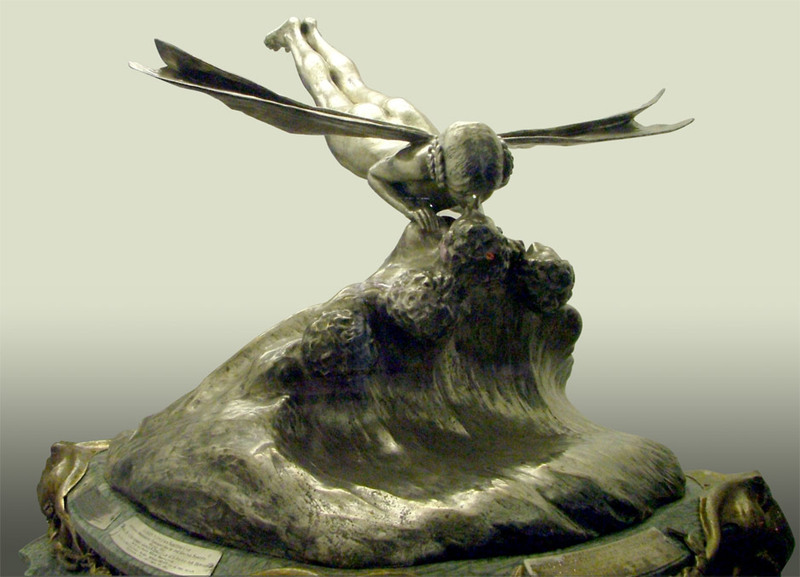 General Doolittle’s Medal is in the collection of the National Air and Space Museum. 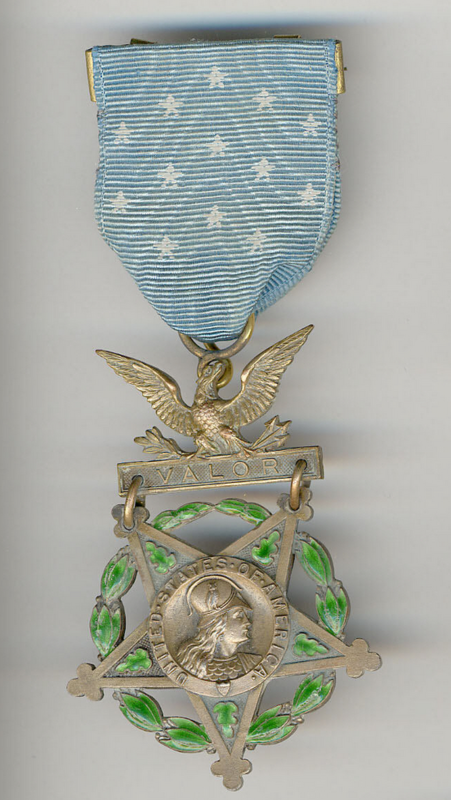 The President of the United States of America, in the name of Congress, takes pleasure in presenting the Medal of Honor to Brigadier General [then Lieutenant Colonel] James Harold Doolittle (ASN: 0-271855), United States Army Air Forces, for conspicuous leadership above the call of duty, involving personal valor and intrepidity at an extreme hazard to life while Commanding the First Special Aviation Project in a bombing raid of Tokyo, Japan, on 18 April 1942. 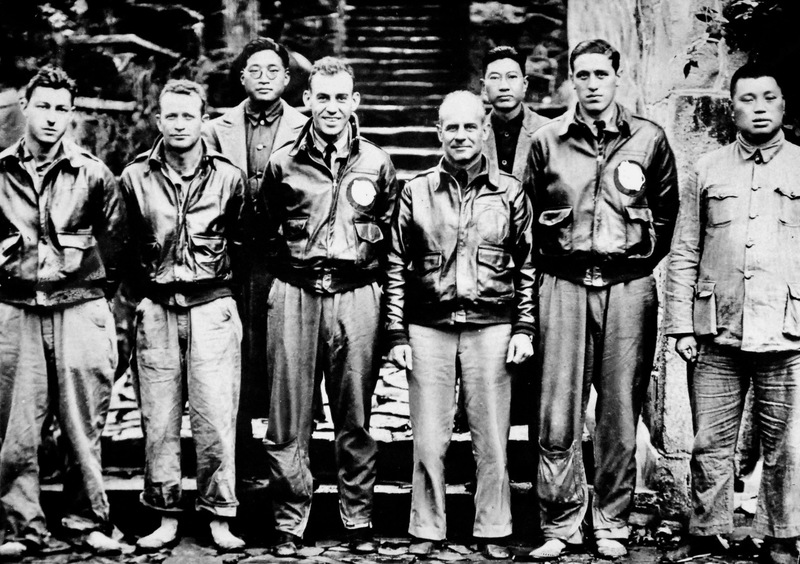 With the apparent certainty of being forced to land in enemy territory or to perish at sea, General Doolittle personally led a squadron of Army bombers, manned by volunteer crews, in a highly destructive raid on the Japanese mainland. 27 March 1942: After three weeks of intensive training at Eglin Field, Florida, twenty-two North American Aviation B-25B Mitchell twin-engine medium bombers of the 34th Bombardment Squadron (Medium), 17th Bombardment Group (Medium), U.S. Army Air Force, under the command of Lieutenant Colonel James Harold Doolittle, completed a two-day, low-level, transcontinental flight, and arrived at the Sacramento Air Depot, McClellan Field, California, for final modifications, repairs and maintenance before an upcoming secret mission: The Halsey-Doolittle Raid. The B-25 had made its first flight 19 October 1940 with test pilot Vance Breese and engineer Roy Ferren in the cockpit. 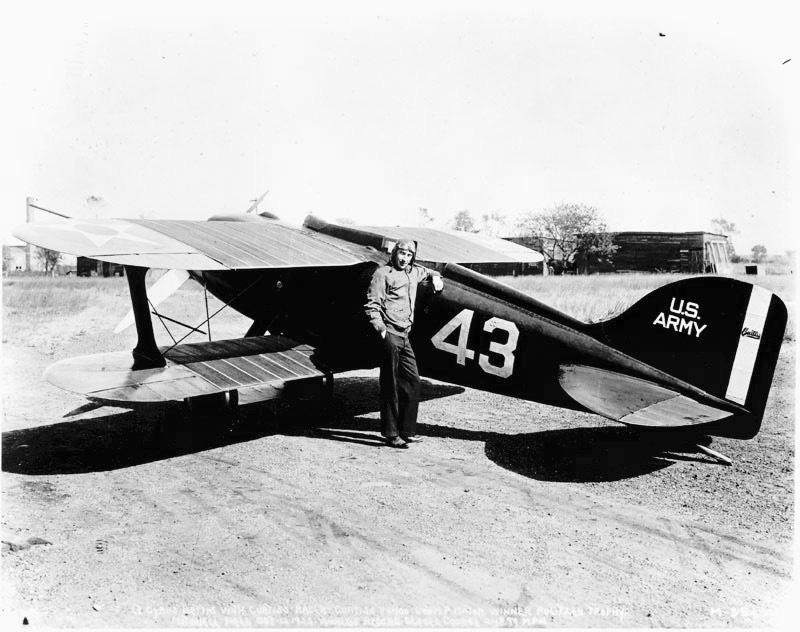 It was a mid-wing airplane with twin vertical tails and retractable tricycle landing gear. 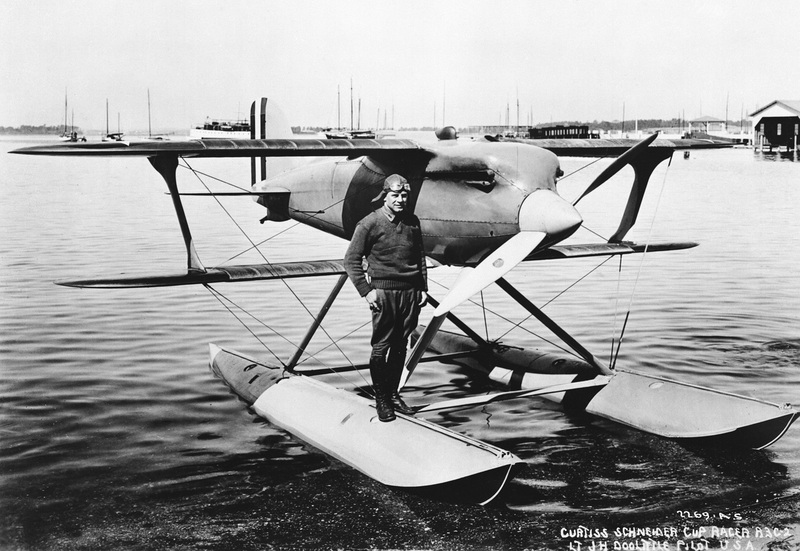 The first 8–10 production airplanes were built with a constant dihedral wing. 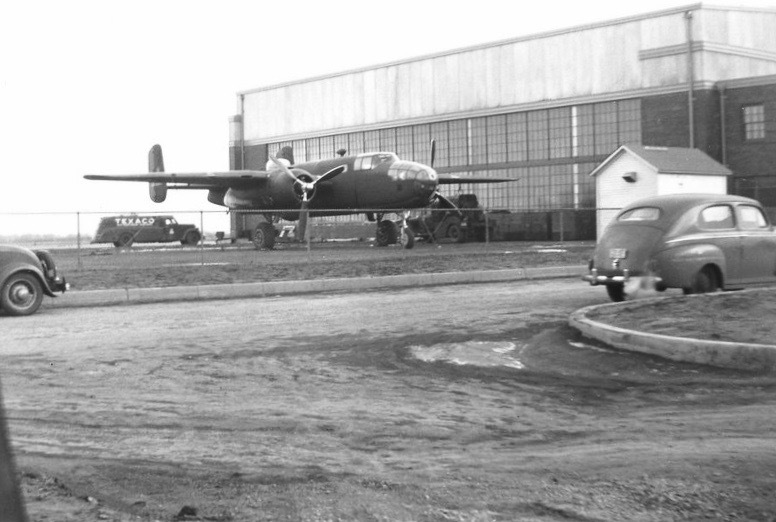 Testing at Wright Field showed that the airplane had a slight tendency to “Dutch roll” so all B-25s after those were built with a “cranked” wing, using dihedral for the inner wing and anhedral in the wing outboard of the engines. This gave it the bomber’s characteristic “gull wing” appearance. The two vertical stabilizers were also increased in size. The B-25B Mitchell was operated by a crew of five: two pilots, a navigator, bombardier and radio operator/gunner. It was 53 feet, 0 inch (16.154 meters) long with a wingspan of 67 feet, 7.7 inches (20.617 meters) and overall height of 15 feet, 9 inches (4.801 meters). The The B-25B had an empty weight of 20,000 pounds (9,072 kilograms) and the maximum gross weight was 28,460 pounds (12,909 kilograms). 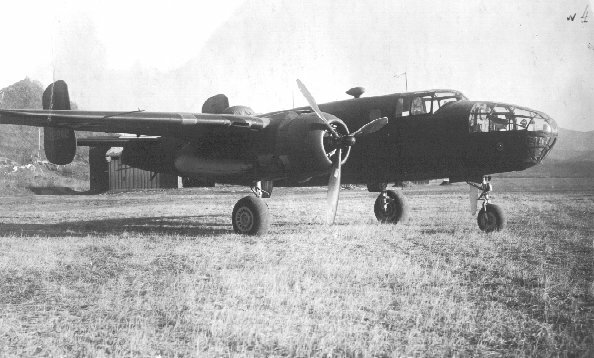 The B-25B was powered by two air-cooled, supercharged, 2,603.737-cubic-inch-displacement (42.668 liter) Wright Aeronautical Division Cyclone 14 GR2600B665 (R-2600-9) two-row 14-cylinder radial engines with a compression ratio of 6.9:1. The engines had a Normal Power rating of 1,500 horsepower at 2,400 r.p.m., and 1,700 horsepower at 2,600 r.p.m. for takeoff, burning 100-octane gasoline. These engines (also commonly called “Twin Cyclone”) drove three-bladed Hamilton Standard Hydromatic variable-pitch propellers through 16:9 gear reduction. The R-2600-9 was 5 feet, 3.1 inches (1.603 meters) long and 4 feet, 6.26 inches (1.378 meters) in diameter. It weighed 1,980 pounds (898 kilograms). The medium bomber had a maximum speed of 322 miles per hour (518 kilometers per hour) at 15,000 feet (4,572 meters) and a service ceiling of 30,000 feet (9,144 meters). 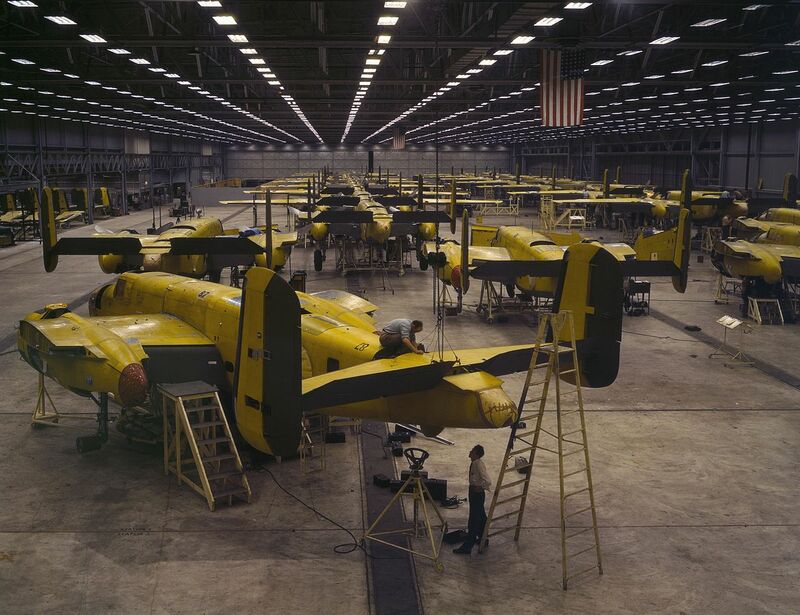 North American Aviation, Inc., built 9,816 B-25s at Inglewood, California, and Kansas City, Kansas. 120 of these were B-25Bs. 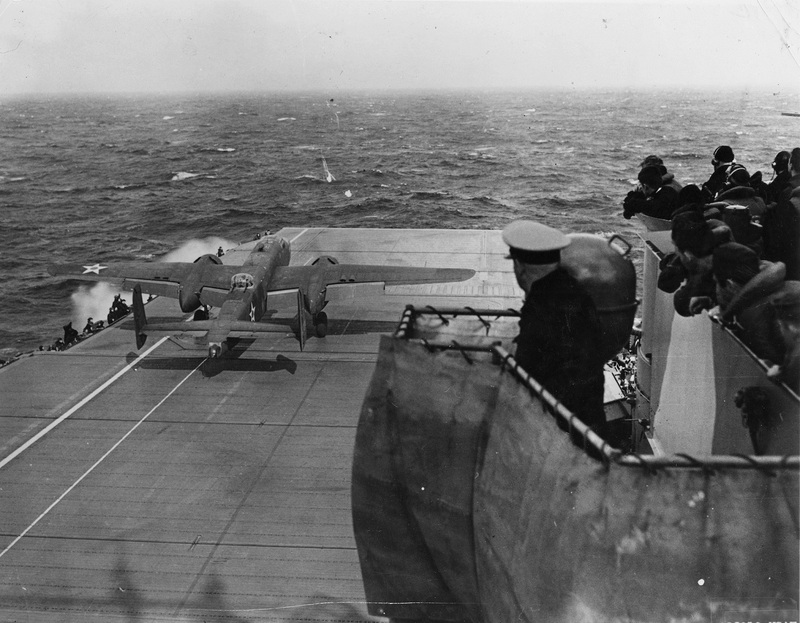 Doolittle took off from Union Air Terminal, Burbank, California, at 5:27 p.m., Pacific Standard Time, 14 January (8:27 p.m., Eastern Standard Time). 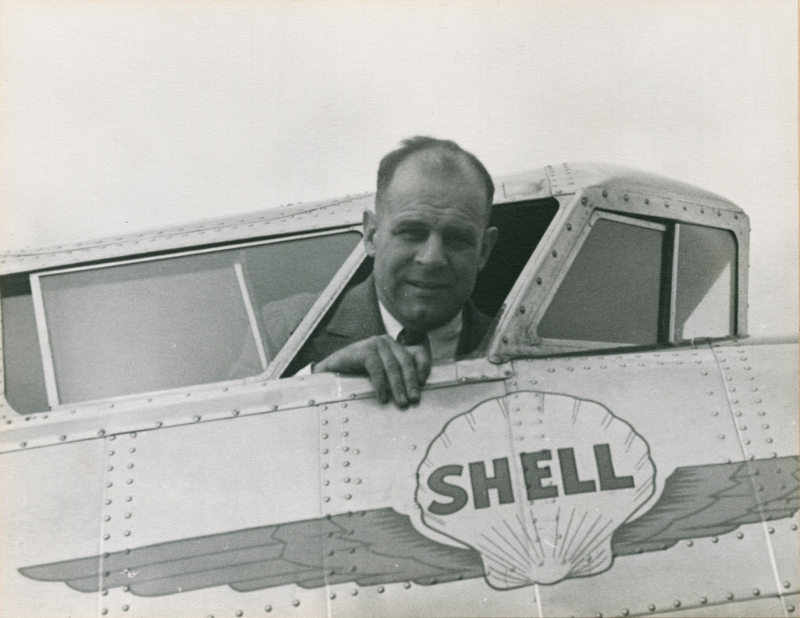 Also on board were Mrs. Doolittle and Robert Adamson (1871–1935), an executive with the Shell Oil Company. 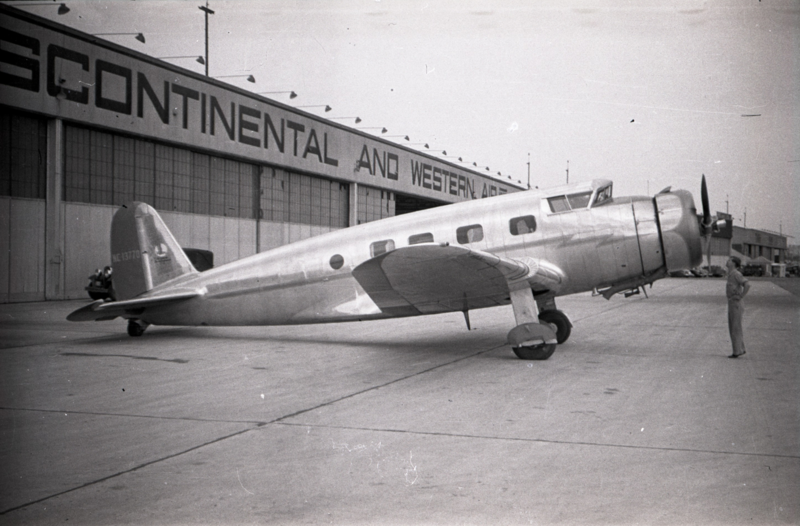 The airplane was an Airplane Development Corporation V-1A Special, NC13770, owned by American Airlines and leased to Shell. Doolittle crossed overhead Floyd Bennett Field at 8:26 a.m., Eastern Standard Time, 15 January. He then landed at Newark Airport, New Jersey, at 8:34½ a.m. 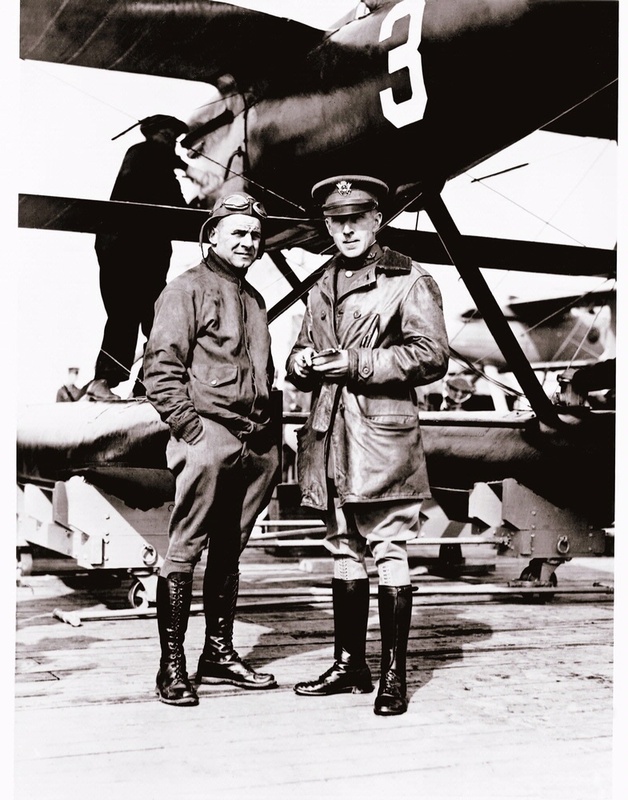 The flight from Burbank to Brooklyn had a duration of 11 hours, 59 minutes, and broke a record set two months earlier by Eddie Rickenbacker. 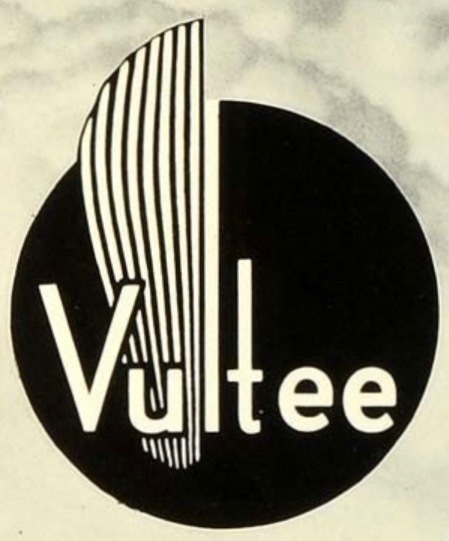 The Airplane Development Corporation Model V-1A (commonly known as the “Vultee V-1A”) was a large, all-metal, single-engine, low-wing monoplane with retractable landing gear. The V-1A was designed as a high-speed airliner and was of full monocoque construction. It could be flown by one or two pilots and carry up to eight passengers. 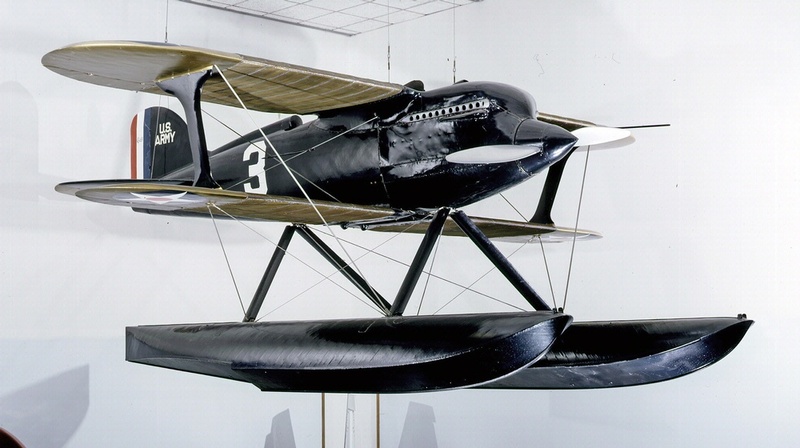 The V-1A was designed by Gerard Freebairn Vultee and Richard Palmer,² based on an earlier design by Vultee and Vance Breese, who were working for the Airplane Development Corporation, which they had founded in 1932, but which had been acquired by the Cord Corporation. The prototype made its first flight 19 February 1933 with test pilot Marshall Headle at the controls. 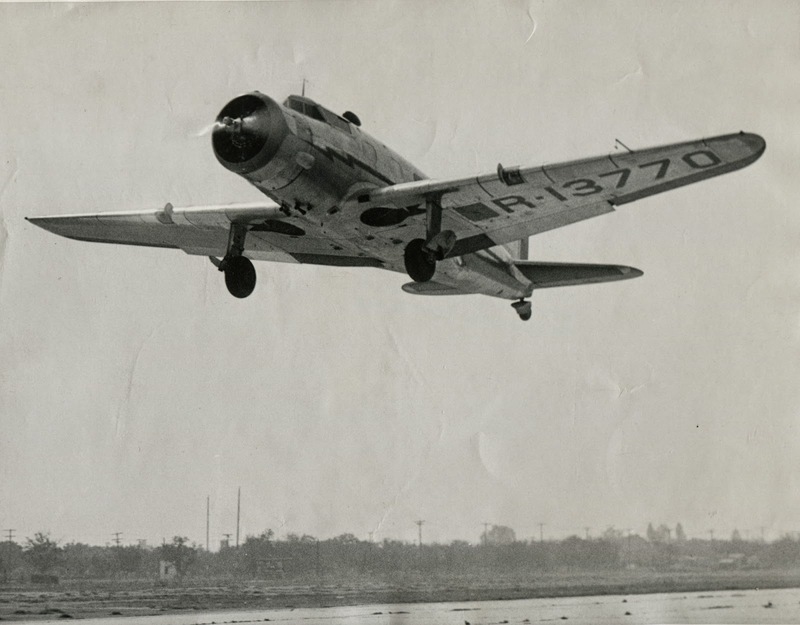 NC13770, serial number 24073, was the eighth V-1A built, and was one of the original ten ordered by American Airlines. The V-1A was 37 feet, 0 inches (11.278 meters) long with a wingspan of 50 feet, 0 inches (15.240 meters) and height of 10 feet, 2 inches (3.099 meters). The wings had root chord of 11 feet, 3 inches (3.429 meters) and tip chord of 5 feet, 0 inches (1.524 meters). Total wing area was 384.0 square feet (35.675 square meters). There was 3° dihedral. The V-1A had an empty weight of 5,212 pounds (2,364 kilograms) and gross weight of 8,500 pounds (3,856 kilograms). The Vultee V-1A was powered by an air-cooled, supercharged, 1,823.129 cubic-inch displacement (29.785 liter) Wright Aeronautical Division Cyclone 9 R-1820-F2 (R-1820-20 or R-1820-102), a nine-cylinder radial engine with a compression ratio of 6.4:1. This was a direct-drive engine with a Normal Power rating of 691 horsepower at 1,950 r.p.m., at Sea Level. It required 87-octane gasoline. The engine turned a three-blade propeller with a diameter of 10 feet, 0 inches (3.048 meters). The R-1820-F2 was 3 feet, 7-3/8 inches (1.102 meters) long, 4 feet, 5-3/4 inches (1.365 meters) in diameter, and weighed 937 pounds (425 kilograms). The V-1A had a cruise speed of 215 miles per hour (346 kilometers per hour) and maximum speed of 235 miles per hour (378 kilometers per hour). The airplane’s service ceiling was 23,000 feet (7,010 meters). In standard configuration, it had a range of 1,000 miles (1,609 kilometers). 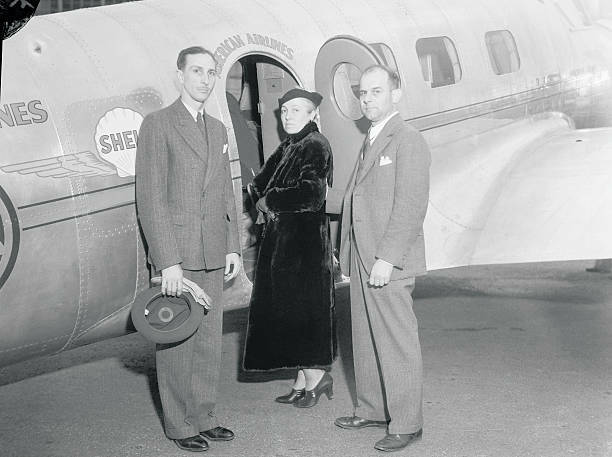 NC13770 was later sold to Harry Richman of Miami Beach, Florida, who christened the airplane Lady Peace. During the Spanish Civil War, the airplane was captured by the Nationalists. 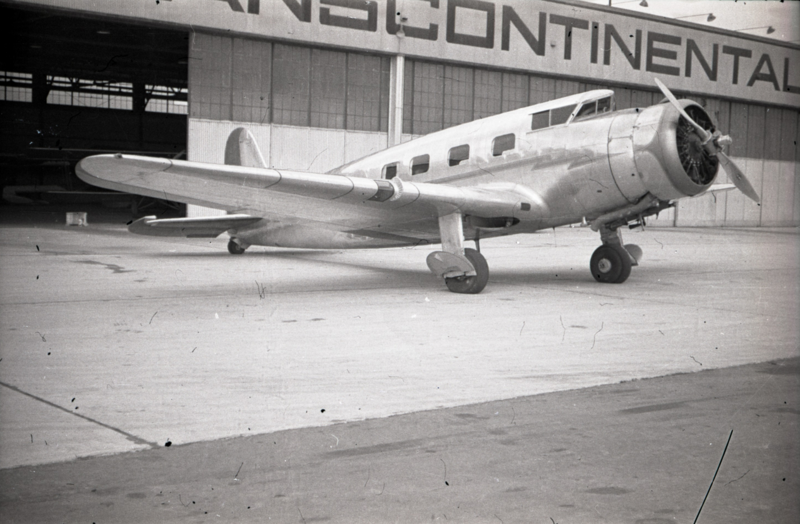 It was used as a transport for the Aviación Nacional Grupo 43, identified as 43-14, and named Capitán Haya. Its U.S. registration was cancelled 8 October 1937. It is believed that the airplane was scrapped in the early 1950s. ² Richard Palmer was the designer of Howard Hughes’ record setting H-1.